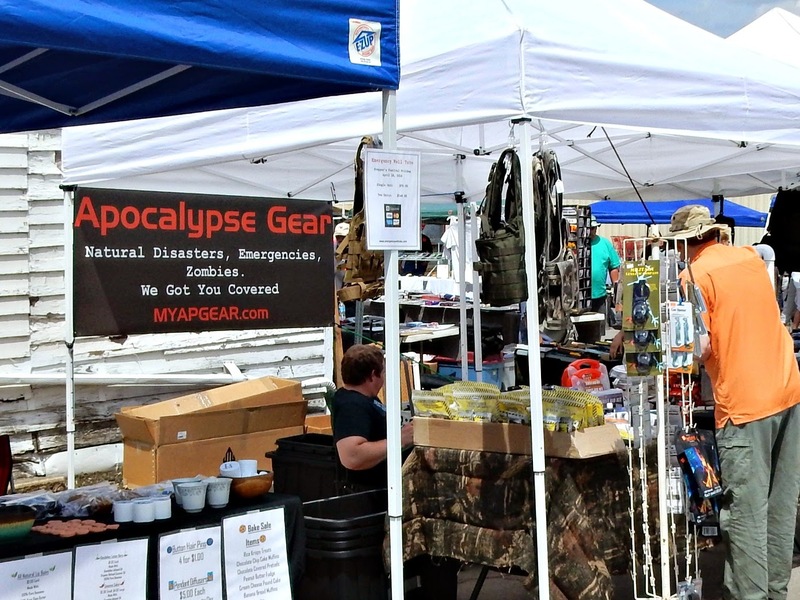 My brother invited us to go to a Preppers festival in New Castle a few weeks ago. I like learning survival skills, and I enjoy learning about homesteading. So it seemed like a fun festival to attend. It was a very warm day. The festival was a little smaller than we had expected. This was only their second year. I enjoyed going in the little seed store and browsing. They had tons of heirloom seeds, as well as other sorts of homemade goodies. We also visited the Artisan center while there. 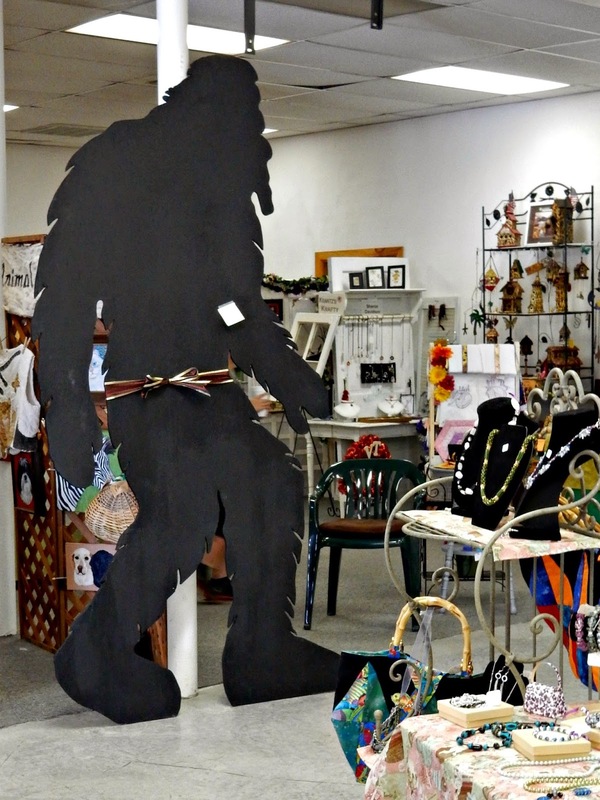 These black yeti are all over in Craig County, and will run you about $50. 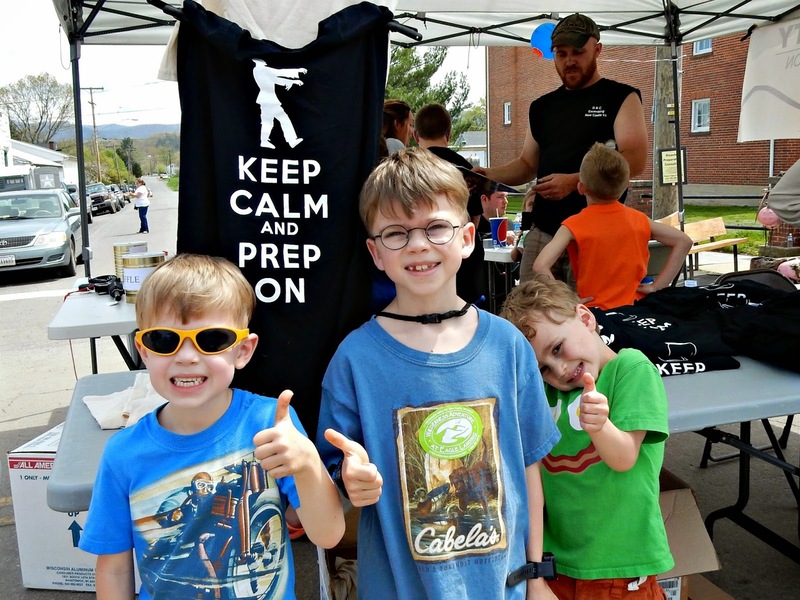 Who knew we would see Bigfoot at the Preppers festival? 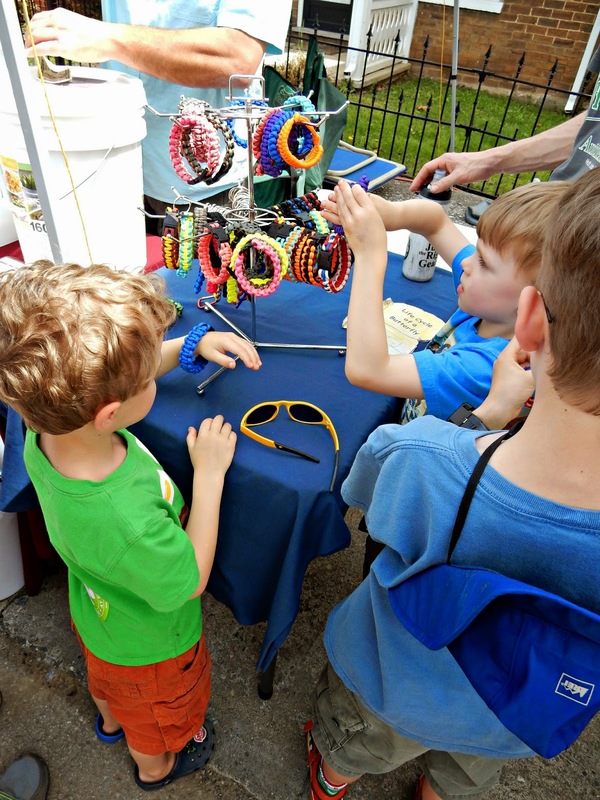 Paracord bracelets are always a big hit with the boys. Those were the only things we bought. The food supply buckets were intriguing, but very expensive. You can make your own for much, much less. Overall, it was a fun day, but I think next year we'll head to the kite festival instead! Sounds interesting. I dunno, some kite festival is not gonna get you ready for the Zombie Apocalypse which is just around the corner! I would have liked to look through all those seeds. You never know when you go to something for the first time, what it will turn out to be. Even tho small, looks like the boys enjoyed it, and I know they would enjoy a kite festival. Happy Monday. that would have been fun to go to. i didn't know about it! my boys have been watching the prepper show on netflix and find it interesting! Looks like an interesting event! 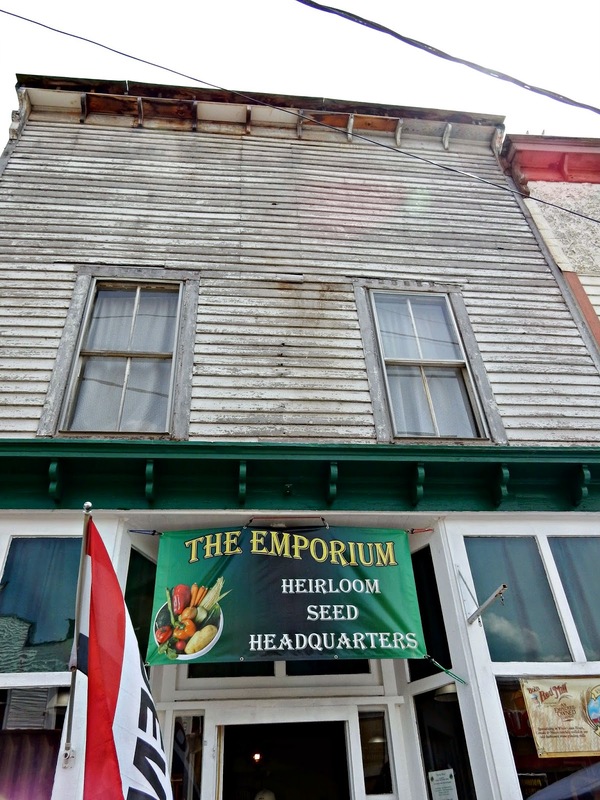 I would have liked the Heirloom Seeds! The first picture of the boys is SO cute!! A fun day, and I bet you had fun in the seed store. Nice to be at an event with your brother on a pretty day. Was the kite festival on the same day? Last Saturday we had many events going on at once. I hate when that happens! Now I wish I would have invited you all down here. There was Riverfest, with the birds of prey show and duck race and animal balloons. I think the boys would like that. I will keep you appraised of good events they may like. Maybe we will see you at the balloon festival again if the weather is good. Sounds interesting but I bet the kite festival will be more fun next year! I've seen those food buckets on t.v.. I have a few family members that have done some prepping. we just put food away and keep it rotating by date for any emergency. I just love these kinds of things thanks for taking me along with these lovely photos! That does sound like fun. I know my family would have enjoyed it as well. That does look like a fun, leisurely weekend, Lisa. The kite festival will no doubt be exciting! 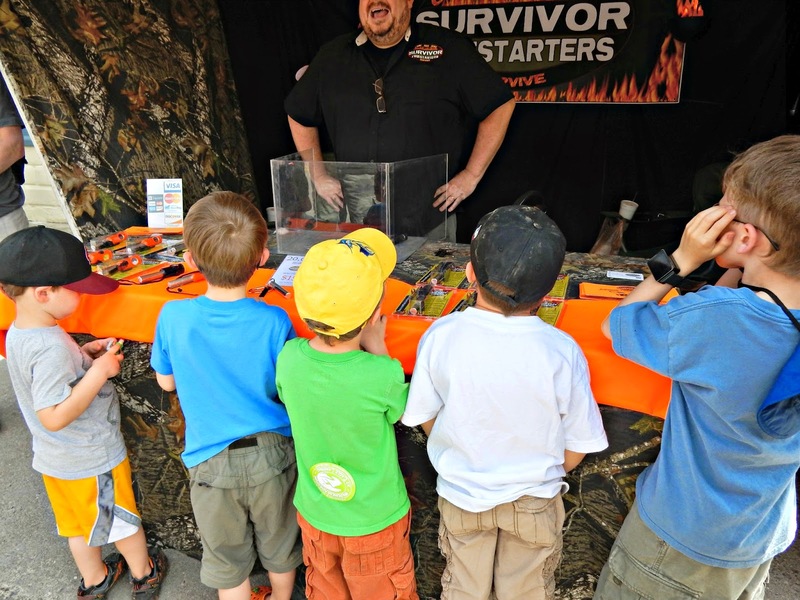 There's a big festival at the community center in Chattanooga with all things survivalist on offer. We plan on going this year. We were all set up to go last year but something came up with the kids. The one you went to looks like fun, I love to plunder around somewhere like that. Sounds interesting and looks like you and the boys had a good time. That was a very interesting place! I bought a paracord bracelet from the kids across the street. They had made a bunch and were selling them on the corner. The seed store looks really cool. It would be fun to browse there. A nice event! What a fun shop! Better than a catalog I am sure. It is nice to get out and about. And a kite festival you say?? I'd love to go to one of those too.